Following last year's comeback album Revolution Per Minute, revived '90s blues rock outfit Big Sugar are prepping a new live CD/DVD set, due out in October. 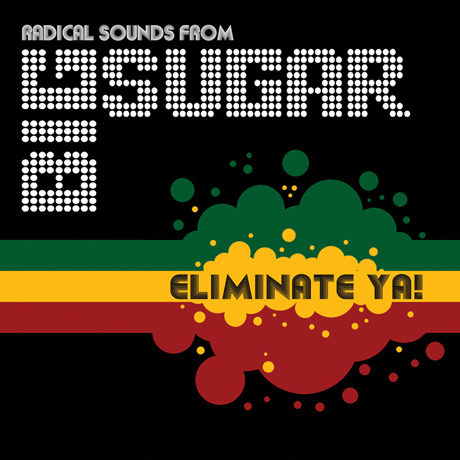 Now, the Canadian band have shared the collection's studio-recorded bonus track, "Eliminate Ya!" The song is a dub-leaning number that combines reggae rhythms with rasta-tinged vocals and trippy swaths of reverb. There's also a 17-person backing vocal section featuring the likes of Colin MacDonald (the Trews), Safwan Javed (Wide Mouth Mason) and Sebastien Plante (Les Respectables). UPDATE: As a kindly commenter has pointed out, the track is in fact a cover of an Al Tuck song. This single will be released on iTunes today (August 20), and check it out below.